Digital delivery has huge potential to transform the health and care system –improving services to patients, supporting new models of care, driving efficiencies that allow more time to be spent on those most in need. The NHS deals with over 1 million patients every 36 hours, showing the scale of the challenge but also the opportunity to improve people’s lives. Last November the National Information Board – the body that sets technology strategy for the health and care system - published “Personalised Health and Care 2020”, a set of actions to take advantage of this opportunity. Among other things, the report envisaged a “digital support service” in the Department of Health, working to promote the digital transformation of health and care services. We’re putting that capability in place – a small, highly motivated, multi-disciplinary team that will work with colleagues across health and care. A team that will look across the system at the potential opportunities, that will include delivery expertise to drive and support transformation, and that will help build capability and digital communities of excellence. 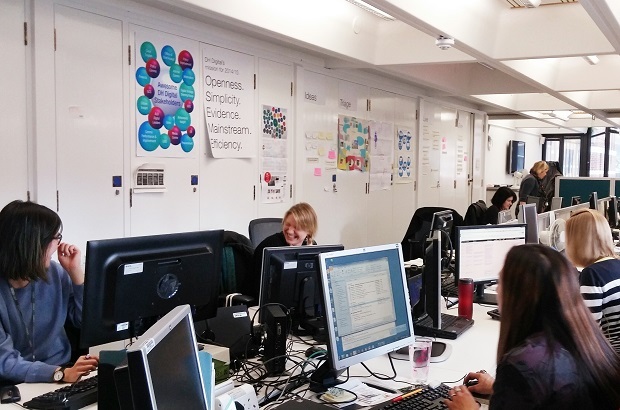 The team will be part of the Department of Health’s broader digital division, which has already been helping the department transform how it delivers its policy work, its internal services and its communications. Here's how one of our recent new starters found us. and Digital Strategy and Policy Lead (Service Transformation). If you have the skills needed and want to be part of this journey, please apply by 9 April using the links above. The Head of Digital Service Transformation role is open to both existing Civil Servants and external candidates. The other roles are open to those currently employed by the Civil Service (you’ll only be able to see these job descriptions if you log in). We may also be looking for other digital experts over the coming weeks and months, including delivery managers, technical architects, digital performance analysts, business analysts, content designers and user researchers. If you’re interested, you can send your CV with the subject line “Expression of interest:(name of role you’re interested in)” to digitalhealth-recruitment@dh.gsi.gov.uk. Please include information outlining your current situation and initial requirements (remuneration, availability, etc). We’ll be in touch if and when a suitable opportunity arises.